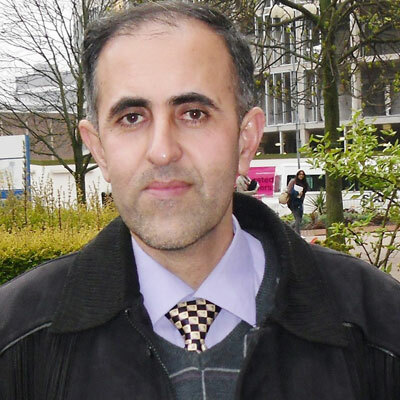 Dr. Azeez Abdullah Barzinjy is currently working as Faculty member of Salahaddin University, Iraq. He has completed his Ph.D. in Materials Science from University of Leicester, United Kingdom. Previously he was appointed as faculty member of Mathematic Department College of Science, University of Soran Erbil-Iraq. He has supervised 20 projects of BSc students. He has 4 publications in journals. Barzinjy, A.A.A., 2016. Electrodeposition of Ni-Cr alloy from Ethaline Deep Eutectic Solvent. Zanko J. Pure Appl. Sci., 28: 47-55. Barzinjy, A.A. and M.M. Zankana, 2016. A Novel Application of the Quartz Crystal Microbalance for Determining the Rheological Properties of the Highly Viscous Liquids. Acta Phys. Pol., 130: 239-244. Alrbaey, K., D.I. Wimpenny, A.A. Al-Barzinjy and A. Moroz, 2016. Electropolishing of Re-melted SLM Stainless Steel 316L Parts Using Deep Eutectic Solvents: 3A- 3 Full Factorial Design. J. Mater. Eng. Perform., 25: 2836-2846. Nasier, N.M., A.A. Barzinjy and H.J. Ismail, 2011. Theoretical Investigation on Traps Effect on Solar Cell Characteristics. Atti Fondazione Giorgio Ronchi, 66: 715-722. Al-Barzinjy, A.A., 2011. Theoretical study of the electromagnetic wave behavior in Josephson transmission line using Matlab model. Tikrit J. Pure Sci., 17: 156-164. Al-Barzinjy, A.A. and S.O.I. Zanko, 2006. Some parametric study for low and HTS strip-line. J. Pure Appl. Sci., 18: 90-108.